As the Amazon juggernaut continues to steamroll over the retail world, it’s hard to imagine how traditional brick and mortar stores can compete. It’s especially dire in the print world where traditional bookstores are closing constantly. 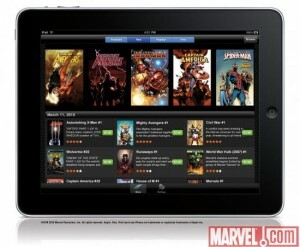 The Kindle and iPad ereaders have become amazingly efficient resources for consuming media. Tonight at the Barnes & Nobles in Paramus, NJ, they were hosting a celebrity signing event featuring Alton Brown, who was promoting his book Good Eats 2: The Middle Years. The parking lot was mobbed, as people were trying to get into the store. Just for reference, today is a Tuesday in October. It’s not a day typically associated with crazed shoppers. For all that they can do (and they can do a LOT), Amazon really can’t match this kind of retail-location event hoopla. Think of it. People got up, left their desktop computers, and trekked over to a store. That’s motivation and calls to action. That’s real action, not just clicking a link. There are other bookstores, including the Bookends store in Ridgewood, NJ that has been surviving on celebrity appearances. Recent book celebs have included Vince Neil of Motley Crue, Marlo Thomas, Lance Armstrong, Ozzy, and Al Gore to name a few. You’ll notice in both stores the big marquee names are celebrities and other famous people. That’s okay because those kinds of books have always fueled the book industry. Both stores also include “real” authors, at least how mainstream fiction readers would define a real author. It’s a nice marketing mix that sells product. I don’t want to see retail whither and die. There’s still something nice about being able to go to a real, physical store and discovering something new and interesting. It’s useful to be able to make an actual purchase and not wait for delivery. And if you go to a bookstore, you can meet the author and get your book signed. Take that, Kindle! And because I am a published author, I like the idea of real bookstores selling real books. It’s good for the book ecosystem and for my royalty checks. Speaking of, my royalty checks have gotten smaller. Would it kill you to buy one of my books? With all the buzz on the Apple iPad (for good reason) and the inevitable comparisons to Amazon’s Kindle, it’s easy to overlook the poor Nook. 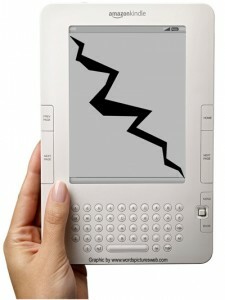 Barnes & Nobles released the Nook amongst much fanfare, but failed to deliver enough units for the holiday season. 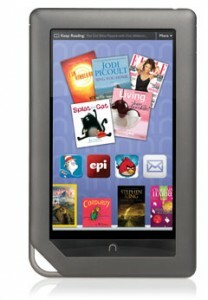 It was a shame, really, when you consider that the Nook would have made an awesome last-minute gift. Amazon may have won the hearts and wallets of online shoppers, but there are still lots of folks who like the traditional shopping experience. That’s the advantage that Barnes & Nobles will need to exploit more aggressively to differentiate themselves from the Kindle. Just today, BN.com announced that the Nook now allows you to play some basic games like chess and Sudoku. Not to pick on the poor Nook because it is a dandy device. But chess and Sudoku in glorious black and white? Seriously? Is that your response to the iPad? What’s next? Pong? Barnes & Nobles seems strangely intent on battling Apple on their turf (cool games) and Amazon on their turf (download ebooks). I’m no expert on bookselling, but I would imagine that they should be pounding the competition in places where they dominate — brick and mortar stores. Barnes & Nobles is winning the real estate war. They claim to have 775 retail locations in the US and 636 bookstore locations. Sure, Apple has a handful of stores, but you’ll find that there are far more B&N locations. Amazon is strictly online. Since it’s one of my favorite stores, I hope that Barnes and Nobles gets serious about making the next version of the Nook a serious mobile ereader with all the appropriate and logical features. And to do that, they need to exploit their unique value and killer app…their stores.